You are browsing the archive for #opencon. 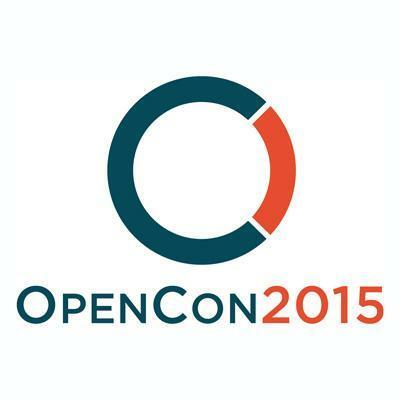 Applications to attend OpenCon 2015 are now open. OpenCon 2015 is the student and early career academic professional conference on Open Access, Open Education, and Open Data and will be held on November 14-16, 2015 in Brussels, Belgium. It is organized by the Right to Research Coalition, SPARC (The Scholarly Publishing and Academic Resources Coalition), and an Organizing Committee of students and early career researchers from around the world. Jonathan Gray from Open Knowledge is on the organising committee and we are very excited to be supporting this event! Open Knowledge’s mission is to open up all essential public interest information and see it used to create insight that drives change. Open Access, Open Access to Research data and Open Education are an important part of this mission. Applications to attend OpenCon are open until June 22nd, but applicants are encouraged to apply early. OpenCon seeks to bring together the most capable, motivated students and early career academic professionals from around the world to advance Open Access, Open Education, and Open Data—regardless of their ability to cover travel costs. In 2014, more than 80% of attendees received support. Due to this, attendance at OpenCon is by application only. Applicants can request a full or partial travel scholarship, which will be awarded to most of those accepted. OpenCon 2015 will convene students and early career academic professionals from around the world and serve as a powerful catalyst for projects led by the next generation to advance OpenCon’s three focus areas—Open Access, Open Education, and Open Research Data. Through a program of keynotes, panel discussions, workshops, and hackathons, participants will build skills in key areas—from raising institutional awareness to coordinating national-level campaigns effectively. Apply early at www.opencon2015.org/attend. This blog post is cross-posted from the Open Access Working Group blog. Details of OpenCon 2015 have just been announced! OpenCon2015: Empowering the Next Generation to Advance Open Access, Open Education and Open Data will take place in on November 14-16 in Brussels, Belgium and bring together students and early career academic professionals from across the world to learn about the issues, develop critical skills, and return home ready to catalyze action toward a more open system for sharing the world’s information — from scholarly and scientific research, to educational materials, to digital data. Hosted by the Right to Research Coalition and SPARC, OpenCon 2015 builds on the success of the first-ever OpenCon meeting last year which convened 115 students and early career academic professionals from 39 countries in Washington, DC. More than 80% of these participants received full travel scholarships, provided by sponsorships from leading organizations, including the Max Planck Society, eLife, PLOS, and more than 20 universities. “OpenCon 2015 will expand on a proven formula of bringing together the brightest young leaders across the Open Access, Open Education, and Open Data movements and connecting them with established leaders in each community,” said Nick Shockey, founding Director of the Right to Research Coalition. “OpenCon is equal parts conference and community. The meeting in Brussels will serve as the centerpiece of a much larger network to foster initiatives and collaboration among the next generation across OpenCon’s three issue areas.“ OpenCon 2015’s three day program will begin with two days of conference-style keynotes, panels, and interactive workshops, drawing both on the expertise of leaders in the Open Access, Open Education and Open Data movements and the experience of participants who have already led successful projects. The third day will take advantage of the location in Brussels by providing a half-day of advocacy training followed by the opportunity for in-person meetings with relevant policy makers, ranging from the European Parliament, European Commission, embassies, and key NGOs. Participants will leave with a deeper understanding of the conference’s three issue areas, stronger skills in organizing local and national projects, and connections with policymakers and prominent leaders across the three issue areas. Speakers at OpenCon 2014 included the Deputy Assistant to the President of the United States for Legislative Affairs, the Chief Commons Officer of Sage Bionetworks, the Associate Director for Data Science for the U.S. National Institutes of Health, and more than 15 students and early career academic professionals leading successful initiatives. OpenCon 2015 will again feature leading experts. Patrick Brown and Michael Eisen, two of the co-founders of PLOS, are confirmed for a joint keynote at the 2015 meeting. “For the ‘open’ movements to succeed, we must invest in capacity building for the next generation of librarians, researchers, scholars, and educators,said Heather Joseph, Executive Director of SPARC (The Scholarly Publishing and Academic Resources Coalition). “OpenCon is dedicated to creating and empowering a global network of young leaders across these issues, and we are eager to partner with others in the community to support and catalyze these efforts.” OpenCon seeks to convene the most effective student and early career academic professional advocates—regardless of their ability to pay for travel costs. The majority of participants will receive full travel scholarships. Because of this, attendance is by application only, though limited sponsorship opportunities are available to guarantee a fully funded place at the conference. Applications will open on June 1, 2015. In 2014, more than 1,700 individuals from 125 countries applied to attend the inaugural OpenCon. This year, an expanded emphasis will be placed on building the community around OpenCon and on satellite events. OpenCon satellite events are independently hosted meetings that mix content from the main conference with live presenters to localize the discussion and bring the energy of an in-person OpenCon event to a larger audience. In 2014, OpenCon satellite events reached hundreds of students and early career academic professionals in nine countries across five continents. A call for partners to host satellite events has now opened and is available at opencon2015.org. OpenCon 2015 is organized by the Right to Research Coalition, SPARC, and a committee of student and early career researcher organizations from around the world. Applications for OpenCon 2015 will open on June 1st. For more information about the conference and to sign up for updates, visit opencon2015.org/updates. You can follow OpenCon on Twitter at @Open_Con or using the hashtag #opencon.